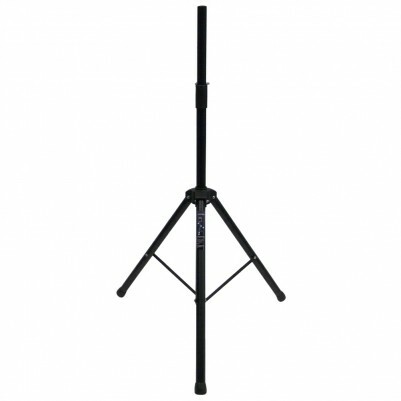 The 1820 Loudspeaker Stand is a robust steel stand with lockable height adjustment that can support large speakers. The right speaker stands will make all the difference to performance. They can isolate them from vibration, leading to tighter bass response and improving the soundstage. They also make sure that your speakers are at the best height for listening. Robustly designed: This is a well designed tripod which legs are adjustable and strong, allowing a very stable temporary base to position your speakers, complete with securing R clip pins and retaining wires so they don't get lost. It has a standard 35mm diameter pole. Versatility: Carry bags for the 1820 Loudspeaker Stands are also available to store and transport the stands easily.